With companies competing for the consumer dollar, we have many opportunities to get the best value for our money. Sometimes, it’s just a matter of looking in the right place for those opportunities. If you work for a larger organization, it is possible for you to be eligible for discounts on personal items. Retail organizations often partner with large corporations to provide special offers or additional discounts to corporate employees. Make sure to review and compare corporate discount offers to any independent retail sale before making your purchase. You can find good value in corporate offers and discounts for your personal needs. Corporate discounts can provide a variety of discounts to employees. Everything from child day care services, to monthly cell phone service discounts, to additional cash back on auto purchases, and even event ticket savings may be found on your organizations advertised web portal. A quick review of my employer’s corporate discount site advertises offers and discounts in seventeen different categories. For example, today I found a good discount on an mp3 player that I look to take advantage of in the very near future. In some cases, companies even offer monthly payment plans on big-ticket items, such as computers. 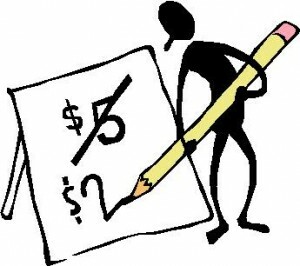 Regardless of the offer or discount presented on the corporate website, it is still important to review pricing. Corporate offers and discounts are not necessarily the best price in town. Pricing exceptions can exist on corporate discount sites, even on products with a medium-to-high level of quality. For example on one specific big-ticket item, the price was comparable to what was available at a local retail store. The trade-off in this case was the previously-mentioned payment plan. A payment plan, if one is not available at a local retail store, then it can be a great convenience for a big-ticket item for someone on a budget. An awareness of the pricing and exclusive offer caveats can help you make the best decision regarding you purchase. Overall, corporate discounts can provide extra savings on a wide variety of products and services. Retailers benefit from offering these discounts, as it opens up new markets for their products and services. While services provided through corporate websites can potentially be discounts in addition to retail sale prices, it is still important to compare the prices of tangible products. If the product is priced equally to a local retailer, then be mindful of what may be included that is exclusive to the corporate offer. Searching the corporate discount website is an excellent way to make a more informed purchasing decision, and hopefully realize additional savings.